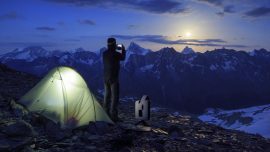 With long full nights, winter remains the best period of the year to enjoy the starry sky and discover its rich objects. The night falls usually around 6:00 pm, which is a perfect timing for week and weekend stargazing. In the winter, you do not have to wait several hours as in summer time. However, once your telescope is out and set up, what can you observe? If the Milky Way’s visibility is not suitable for winter observing, a large number of extraordinary targets can be admired using relatively modest instruments: bright galaxies and nebulae, huge clusters and interesting comets! Here is our selection of objects that could feed your astronomical hunger in winter. The Great Orion nebula, birthplace of stars. Image taken using the Stellina telescope. 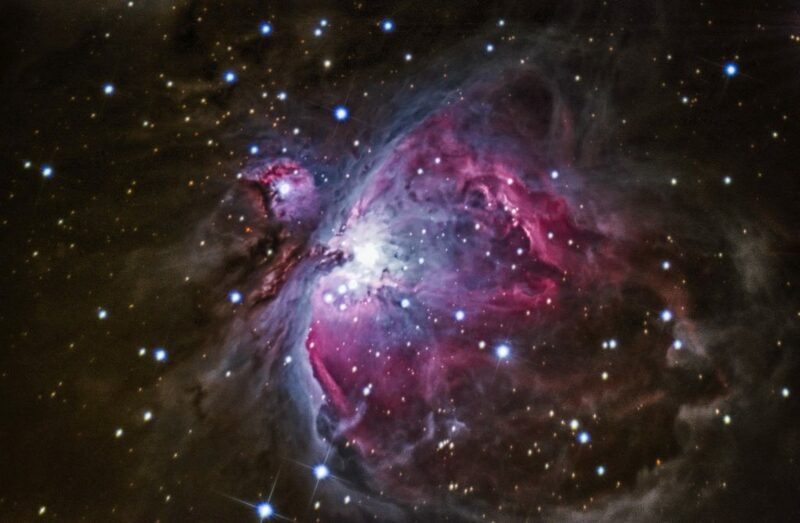 A traditional target is obviously the splendid pink-colored nebula M42. Its strong brightness and its huge stretch make it easily visible in the sky, even to the naked eye. A simple pair of binoculars will reveal its internal structures. Orion is the brightest nebula of the Northern hemisphere, located in the constellation of the same name whose visibility starts around mid-October and ends at the beginning of March. 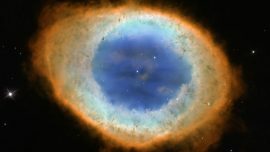 The intense colors of the dust and gas clouds are not discernible to the naked eye but can be exposed using a telescope equipped with an image sensor, such as Stellina. 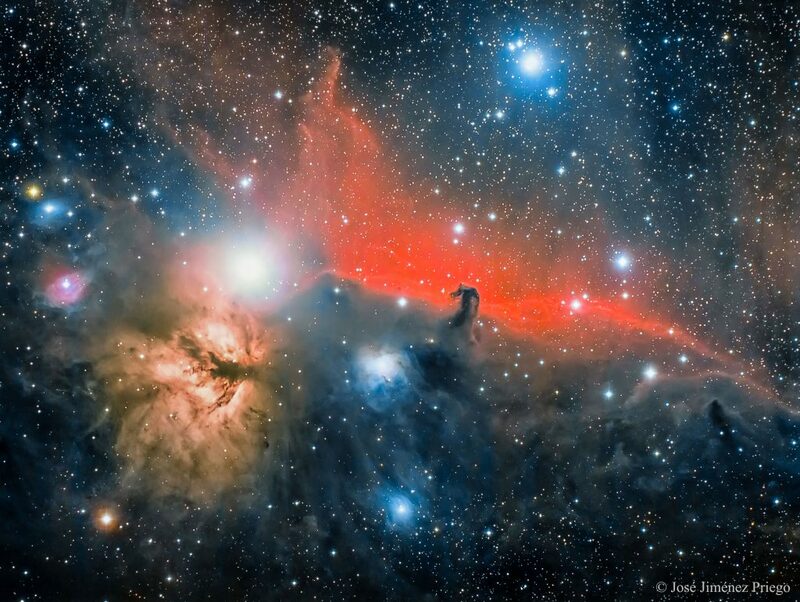 The Horse Head nebula (in black and red) and the Flame nebula (in yellow) are both located in the Orion constellation, very close from M42. Still in the Orion constellation, the dark nebula IC 434 features a particular shape, similar to the profile of a horse, hence its name. This object is even more gorgeous when it is captured: we can then see pink tint clouds in the background which increase the contrast of the Horse Head which absorbes light. This original deep sky object is narrowly associated with another brighter nebula, called the Flame nebula. It becomes interesting to frame both of these nebulae into a single image. Let us travel from Orion to Taurus constellation and look at this great and luminous open star cluster, intensively tinted with blue. Often mistaken for the Ursa Minor constellation, the Pleiades star cluster is easily accessible to the naked eye. 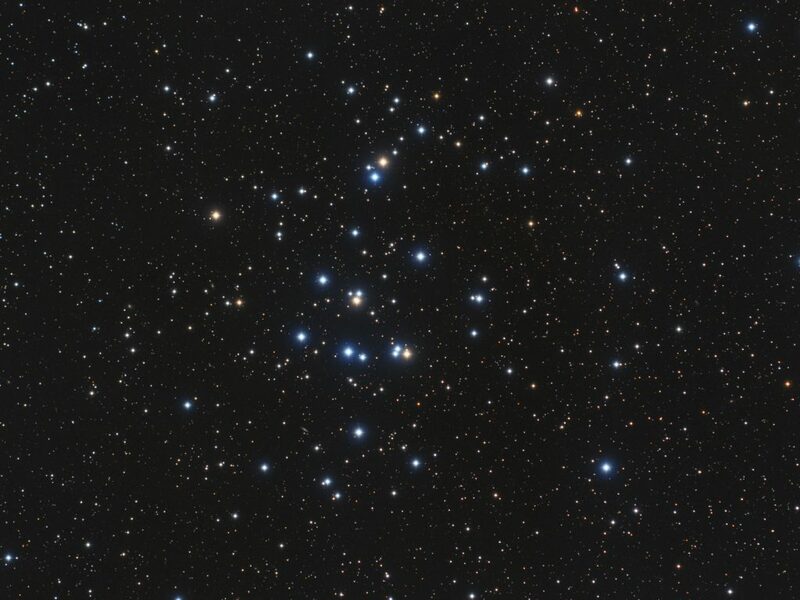 It is composed of a large group of 3 000 young stars among which seven of them can be observed with binoculars. Dust clouds give the impression that the Pleaides is a nebula, but the dust has actually nothing to do with the cluster itself: they are only dusty material in the foreground. 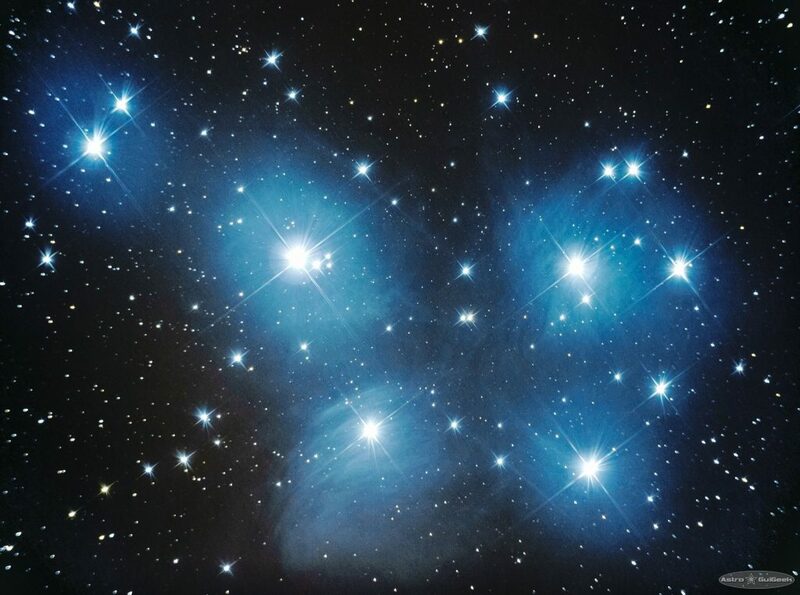 Once more, a telescope fitted with a camera reveals the true blue color of M45 star cluster. 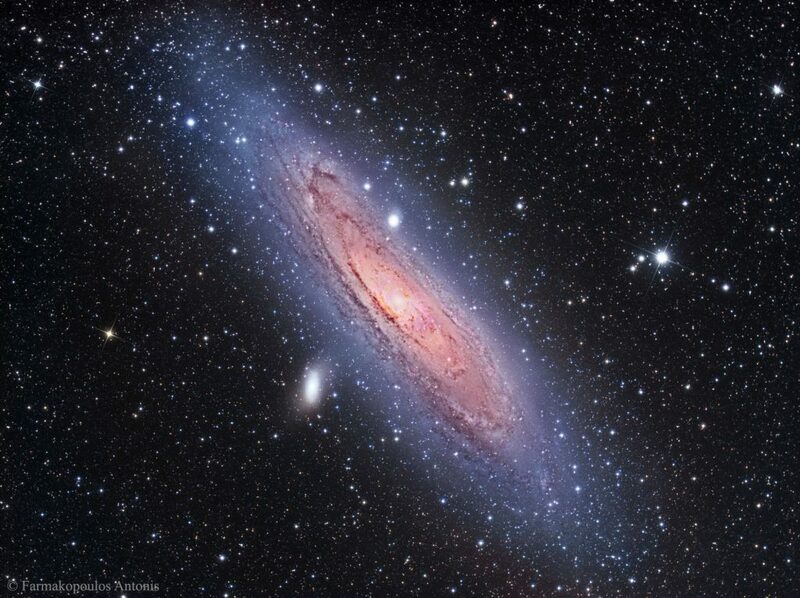 The Andromeda galaxy is certainly the most popular astronomical object. Do not forget to observe it at the beginning of winter each year. With an angular size about 6 times the diameter of a full moon, Andromeda is a spiral galaxy close to the Milky Way, making it one of the rarest galaxies visible to the naked eye – the Large and Small Magellanic clouds are brighter but are only visible from the southern hemisphere sky. The beginning of winter is the most suitable period for admiring this masterpiece, whether with binoculars or telescopes. Andromeda lies within the constellation of the same name. Its angular diameter is so large that a telescope with too much magnification will not be able to observe the entire disc of the Andromeda galaxy. 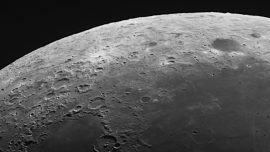 A telescope with a focal length between 400 and 800 mm is an excellent choice, particularly when it is combined with a photographic sensor. Despite being located just 2.5 million light-years from us, Andromeda shows a high density stellar population and hides a lot of interesting structures like its spiral arms which can be resolved with most amateur telescopes. The Beehive cluster captured by Bob Franke. Praesepe is a modest but amazing open star cluster which can be found inside the constellation of Cancer. Very bright, it is composed of more than 1 000 stars spreading over an angular distance of 3 full moons. With binoculars or telescopes, the Beehive cluster reveals shining stars whose differences in color temperatures are readily apparent. An image illustrates this. Comet 46P/Wirtanen: the surprise of the year? During the past few years, the Northern hemisphere has not often been visited by bright comets. You might remember the comet Hale-Bopp which enlightened the sky with a maximum magnitude of -1. This year, we will not be as lucky as in 1997, but comet Wirtanen is expected to reach magnitude 3 or 4 around December 16, 2018 when it is at its closest distance to the Earth, namely 12 million kilometers. In other words, it will likely be accessible to the naked eye and to binoculars. Discovered in 1948, this comet belongs to the category of periodic comets, meaning that it orbits the sun every 5.4 years. Wirtanen was initially the comet on which the ESA’s Rosetta Mission set its route to deploy its Philae lander. For more stories on comets, we invite you to read our previous article on the most impressive comets of the history. Wirtanen is therefore an object to which you should pay attention, all December 2018 long!